Can I Convert a Pension to an IRA? Review the pension prospectus to determine if converting to an IRA is right for you. 1. What Is the Difference Between Qualified & Non-Qualified Annuities? 3. Do You Have to File Form 5500 for a Simplified Employee Pension? Two forms of pension plans exist, defined-benefit and defined-contribution. 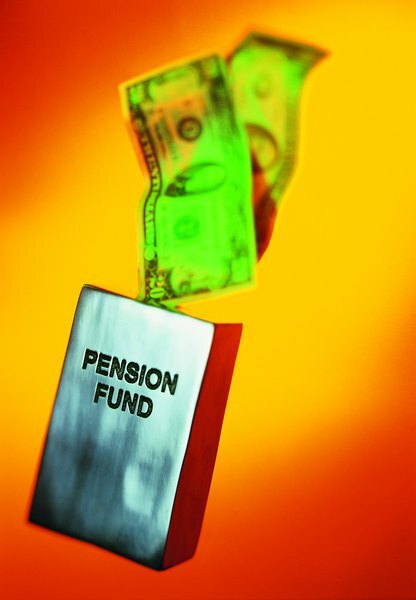 Defined-benefit pension plans are employer-funded plans that may require employee contributions. 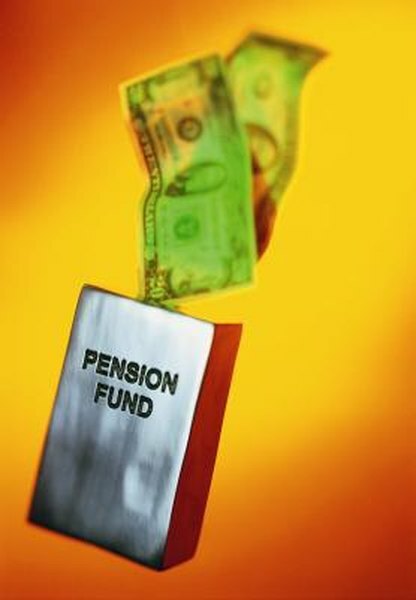 Defined-contribution pension plans are employee-funded plans that may have employer contributions. If employers contribute to a defined-contribution plan and an employee leaves before the vesting period ends, a percentage is paid according to the number of years worked. An IRA stands for individual retirement arrangement. Contributions to a traditional IRA are tax-deductible: Earnings and contributions aren’t taxed until distribution. Contributions to a Roth IRA are not tax-deductible but the earnings and contributions accumulated are tax-free at distribution as long as the account has been open for five years and the account owner is at least 59 1/2 years old. It is possible to convert a defined-contribution plan to an IRA. Once the decision to convert is made, a form and documentation is issued to the employee. The form provides three options. You may roll funds into a qualified account, leave them alone or withdraw them. Withdrawal of funds prior to 591/2 may be subject to a 10 percent penalty. Choosing to convert a pension plan to a traditional IRA or Roth IRA requires knowledge of investment types. Banks and investment brokerages offer the ability to diversify IRAs in mutual funds, stocks, bonds, U.S. Treasurys, certificates of deposit, annuities and exchange-traded funds. Caution should be taken with a self-managed IRA as retirement funds are easily accessible. If knowledge in financial markets is limited, speak to a financial adviser before taking action. A pension plan, defined or contributory, is an employer incentive. If your employers matches contributions up to a predetermined percentage, think long and hard before converting to an IRA. Matching employer contributions double an employee's investment, thus increasing the overall pension account balance. Review products and services provided by a full-service brokerage and a discount brokerage. Full-service brokerages provide expert financial advice for a fee, while online brokerage firms provide tools, resources and a trading platform for those who wish to mange their own investments. Joshua Cintron is a college professor of business, finance, human resource and critical thinking courses. He holds a Masters degree in public administration from Bellevue University and a business credential from the Colorado State Board of Community Colleges and Occupational Education, Career and Technical Education. His resume also includes joshuacintron.com.